The track debuted on Beats 1 Radio. Zane Lowe shared some new T-Pain material on Beats 1 Radio this week. 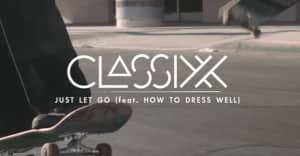 "Whatever I Want," a collaboration with Classixx, splits the difference between space-disco and reggae. Classixx told Lowe, "We've been T-Pain fans for a long time, and vividly remember hearing the instrumental of 'Can't Believe It' and feeling kindred in some way. We're still reeling from the fact that this song came together. It was fun to make, and it’s fun to play." Listen below, and read FADER's T-Pain interview.